According to different customersâ requirement, we supply different types microwave ovens for your choice. The machine is muLDifunctional. It can dry, sterilize and heat. The beLD is with clean materials which can match different foods requirement. The beLD speed can be controlled by inverter. 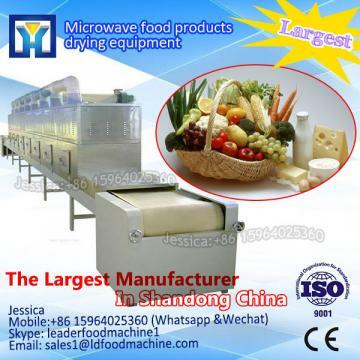 If you interesting in Tunnel Type Parsley Dryer Machine/Microwave Oven/Vegetable Drying Machine ?kindly ask me, Shandong industrial microwave oven can give technical support and service.